From October 26 to November 8, 2018 schoolchildren from 28 territories and 68 Baikal region with the support of the Government of Irkutsk region, the General headquarters «YUNARMIYA», parents’ committees, pedagogical and school communities of Irkutsk region participated in military and patriotic expedition «ROADS OF VICTORY: FROM IRKUTSL TO MOSCOW, TO BREST». Consist of the special children’s campaign train was organized for 468 children and teachers accompanied by the police officers and medical professionals. There are educational and entertainment programs on the road. In the Republic of Belarus schoolchildren from Irkutsk visited: the Belarusian Great Patriotic War Museum in Minsk, the Memorial complex “Khatyn”, the National park «Belovezhskaya Pushcha» with visiting of the Museum of Nature, a cultural heritage of UNESCO – the Mir Castle Complex and the Nesvizh Palace. 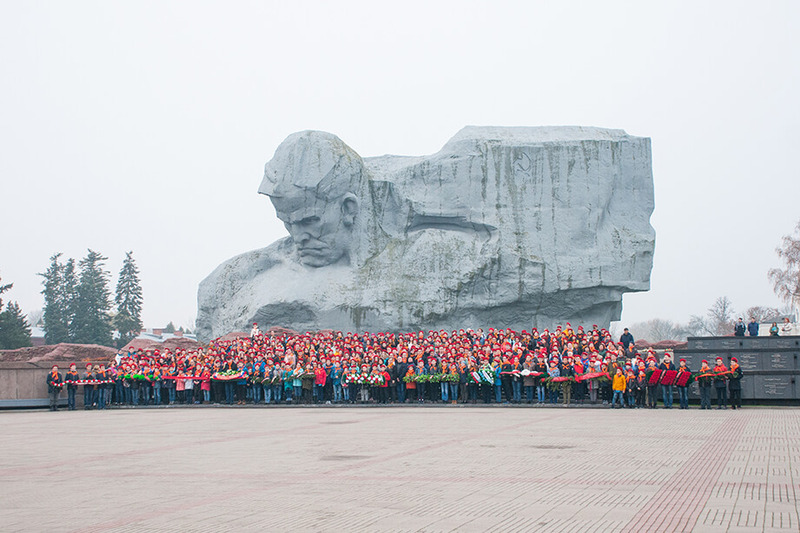 The main event in the Republic of Belarus was the visiting of the Memorial Complex «Brest-Hero fortress». The children observed a minute of silence in tribute to the victims for freedom and independence. Representatives of all territories, all educational institutions of Irkutsk region laid flowers and candles to eternal fire near the monument of the Courage. © 2016 MICE. All rights reserved.